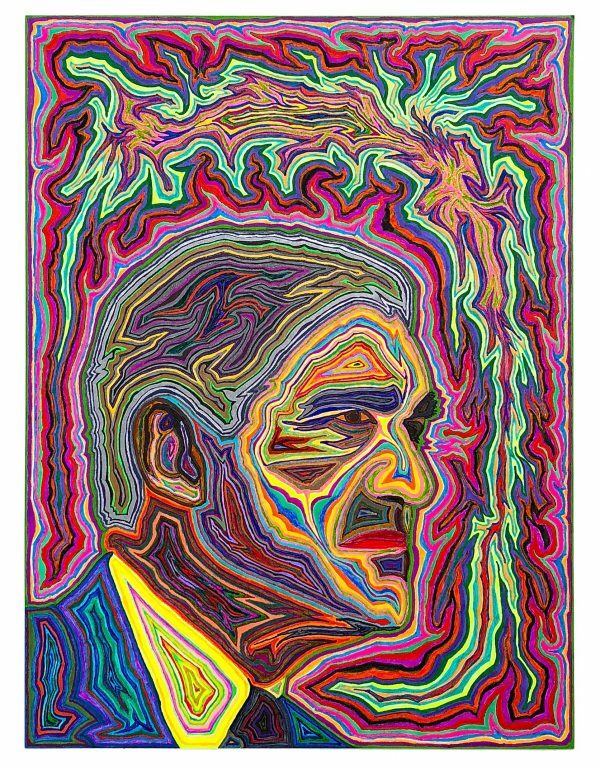 I made this original art as an homage to a man who is relentless in his pursuit of truth and rooting out corruption. Each marker used in this portrait was used only once. This is available for purchase. It is 9″ x 12″ and drawn on acid-free archival paper with a variety of markers. I work with a magnifying glass to produce very fine lines.